The Spoked Traveller | Don Valley Biking–watch the dogs! 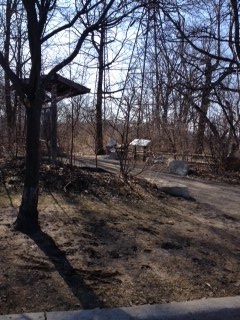 Don Valley Biking–watch the dogs! Saturday mornings in Toronto mean possibilities. It’s not a morning town so at 7:30 am there are only a few coffee shops open, and hardly any people. The night before is another scene. From my third floor apartment, I can hear screams and drunken stupors. But, the morning is new. It means possibly finding remnants of some 905 (suburban visitor’s) vomit outside my door. Possibilities of brunch? Waiting in line for over an hour at some hipster spot. 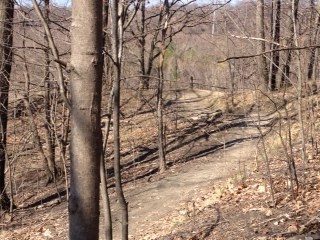 Or, possibly mountain biking–in the city? Yes. Well, you can guess what I did. Downtown Toronto is pretty flat, but north of Bloor, and near the Don Valley, you can find hills and mud trails worthy of mountain biking. 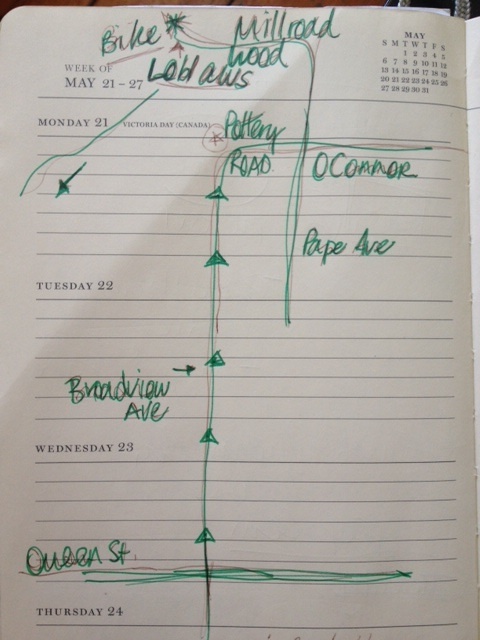 Here was my route: a long warm up on Queen Street East, then north on Broadway. Be warned–the trails are narrow and a bit off camber. But worse than that: wild dogs. I was riding along, coming into a small valley when a red-ish coloured pit bull begins barking and running toward me. Before I know it, I’m screaming and the dog has clamped onto my hamstring. It releases and runs off; its owner, a homeless man, begins to profusely apologize. I’m speechless. I can hear his apologies as I ride off — fearful that his dog is going to charge me again. When I’m clear, I stop riding, lean over my handlebars and cry. Giant big sobs. 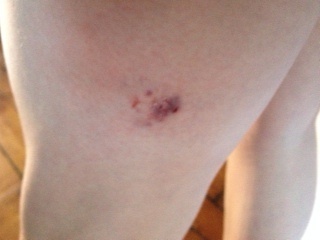 It’s not the bite, he didn’t even break my skin, it’s more the shock of a dog barrelling down towards me and the possibility that he could tear me apart. This animal could do worse than an ugly bruise. I keep riding and eventually run into two riders I met earlier. I relay my dog bite story and they are completely empathetic. It’s good to tell someone. Later that night, I head to Ronnie’s — a patio bar — in Kensington Market with my cousin Jodie. Sitting at a pic nic table, we scooch in and sit next to some new friends. When Jodie leaves to make supper for his gal, I move on through the market, and then, through the window of Graffeti’s–a bar in the market, I see some live music. Hello. I’m in. A few beers later, a chat with a couple from Cape Breton, a dance or two–I forget all about the dog. I forget how vulnerable I felt. Biking alone means freedom, but it also means you have to take the consequences as well– you’re alone and no one can swoop in and rescue you. It’s a good thing I met some new buddies at Graffiti’s. Possibilities. 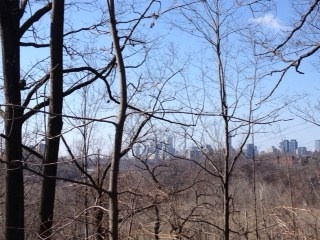 Wow–what a view of downtown from the trails. It’s the first of many rides.